With training camps opening up around the country this week, we're catching up with many football players who spent the offseason rehabbing from injuries or having surgery to correct problems before the upcoming season. 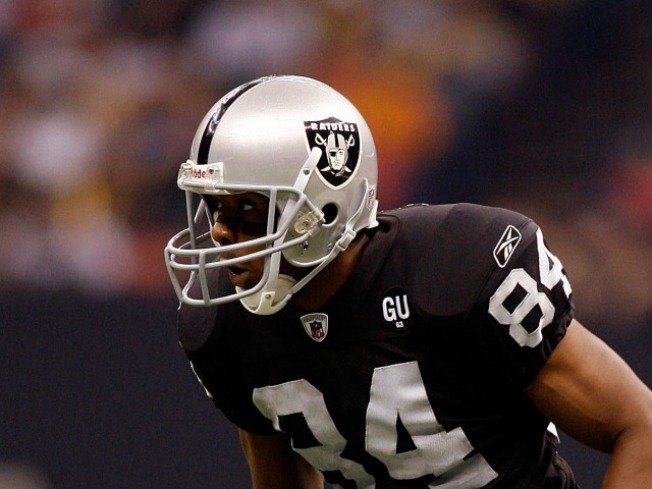 One such player is wide receiver Javon Walker of the Oakland Raiders, although he went about it in a very different way than his brethren. For starters, Walker didn't tell the Raiders that he was having knee surgery before he went under the knife. That's unusual, since you'll usually let your employers know if you're going to be 10 minutes late for work, but it turns out that we're just scratching the surface. Walker stopped to chat with reporters at Raiders camp on Friday and dropped some knowledge about the operation. Walker was very cryptic when asked about the surgical procedure, saying "it's something new ... it's going to be something amazing that's going to benefit and help a lot of athletes." Walker declined to say anything else about the procedure. When asked if it was in the United States, Walker said, "I don't know where it was done. I'm clueless." Let's see, something new and amazing that was performed in a location unknown to the patient? It has to be an alien abduction, right? For years we've heard tales about little green men coming to our planet and performing all sorts of experiments and probes on unwitting subjects. This warning shot against the notion that human beings have attained the athletic ideal seems like a natural progression. Not only do they know our physiology, they know how to improve it so that our athletes can succeed at a higher level. This leads to the question of their motives. Is this a way of telling us that our extraterrestrial friends are friendly and come bearing gifts of longer careers and surgical methods designed for optimal effectiveness? Or do they implant some kind of noxious virus that will turn Walker and their other test subjects into grotesque monsters who will destroy the population? It will be hard to tell if the transformation takes place during a Raiders home game, so we'll have to be vigilant in attempts to sniff out the truth. Whatever it turns out to be, the truth is out there and Javon Walker knows it.